Originally trained as a Dietitian Nutritionist, Susan has been a healthcare professional in private practice for over 30 years and brings a deep commitment to assisting others in professional practice and in business. A founding member of ANZPOP, and senior trainer on the faculty, she has been training people in Process Work for over 20 years. As a member of the Worldwork Staff for the Global Process Institute Susan has facilitated large and small multinational groups in many countries since 1991, and is a faculty member of the Process Work Institute of Portland, serving on study committees for students in the Master of Conflict Facilitation and Organisational Change program. In Australia, she works with a number of organizations and government agencies including Drug and Alcohol services, as a supervisor, management consultant and staff development officer. Susan has a deep and ongoing interest in Spirituality, Cosmology, Inner Work and Creativity, and runs personal growth, training, and supervision workshops regularly along the East Coast. 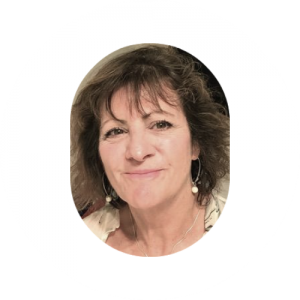 Whilst working in her practice with individual, families and couples, and in her relationships workshops, Susan often finds herself working with people on the edge to feel loved, and to go for love in their lives.